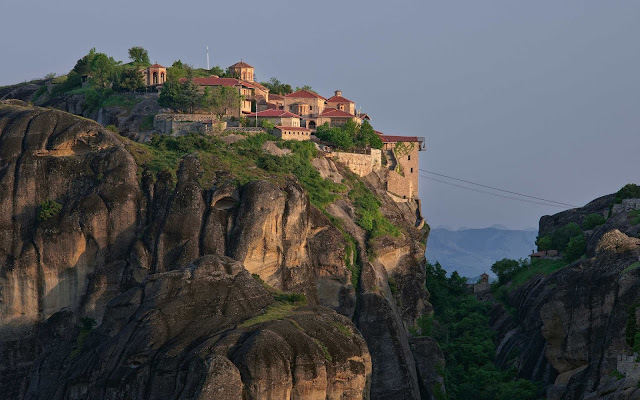 Hi friends, recently we completed with our journey in Greece. I hoped you enjoyed the journey getting to know about Greece, it's culture, festivals, food and best places to travel in Greece. For our next country we are heading to Nordics and exploring the country known for beautiful nature, Finland. The latest UN report stated that Finland is now the happiest country in the world. This one should not come as a surprise, since the Nordic countries are generally at the top of the list. But Finland made a big climb from number 5 to number 1. "Lentokonesuihkuturbiinimoottoriaoumekaanikkoaliupseerioppilas" (Good luck pronouncing it). The Finnish language also claims the world's longest palindrome, a word that is spelled forward and backwards- "Saippuakivikauppias". It is used to describe a dealer in lye or soapstone. One of the things that Finns should really pride themselves with is the fact is that they offer free education to students, even at University level. This also applies to international students from EU/EES. Non-EU-nationals can also enjoy free tuition fees, if the classes are taught in Finnish or Swedish or doctoral studies in any language. Being one of the most gender equal countries in the world nowadays, this fact should not come as a huge surprise. But at the time they allowed women to vote back in 1906, this was definitely something special. New Zealand and Australia did allow women to vote a couple of years before, but it was here in Finland that all women, no matter what social status could fully vote and also stand for parliament. When it comes to eccentric past times, Finland is a champion in it. 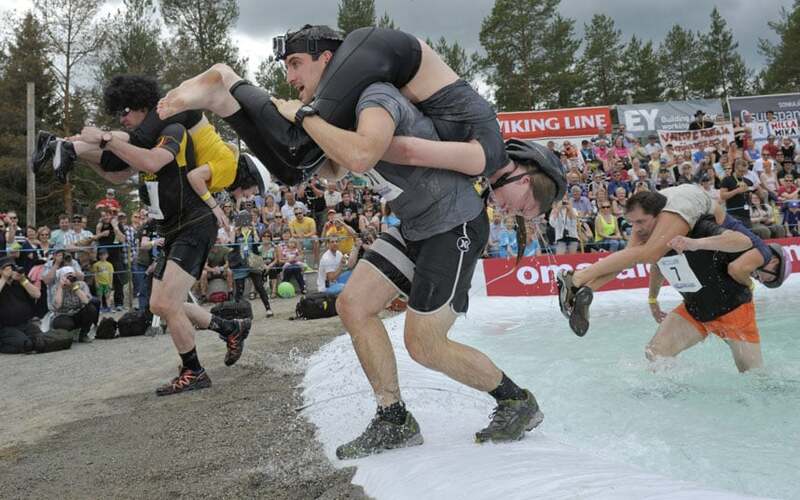 The strangest of them all is the Wife Carrying World Championship. It takes place every year in the month of July in Sonkajarvi. It is an extreme obstacle course in which men carry their wives. The winner gets a grand prize of his wife's weight in beer. Check out the complete video here. That's not all. Some other weird sports are mosquito hunting, mobile phone throwing, swamp football, rubber boot throwing and Air Guitar World Championship. Just like the weird sports we discussed above, there are also some weird days celebrated in Finland. They have 'National Sleepy Head Day', where the last person in the family to wake up is thrown into a lake or sea by all other family members. Finland takes Albert Einstein's wise words "A person who never made a mistake never tried anything new" very seriously. It has declared 13th October as the National Day of Failure in order to celebrate life's setbacks as a path towards glory. 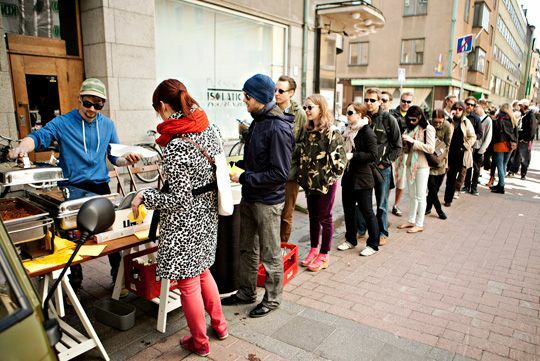 Finland's capital Helsinki, has four times a year, an event called 'Restaurant Day'. The occasion offers anyone the opportunity to set up a restaurant or cafe for just one day without having to apply for any official permits - as long as alcohol is not on the drinks list. I know, this fact is going to be a big surprise for all. Even I was shocked after reading about this. Former Italian Prime Minister, Silvio Berlusconi, ruffled a few feathers in 2005 when he remarked that parma ham(an Italian dish) was completely superior to Finn's smoked reindeer. The Finns fought back and three years later won the international pizza contest ahead of Italy. The pizza was titled 'Pizza Berlusconi' after the Italian Prime Minister and its signature ingredient was smoked reindeer. Revenge, served just stone baked !!! You can still order it from Kotipizza, which is the largest pizza chain in Finland. Perhaps it has to do something with the cold weather of the country - but the Finns just love their coffee. They consume more coffee per person than any other country in the world. On an average a Finn consumes 12 kgs of coffee annually. My God !!! that's too much coffee. 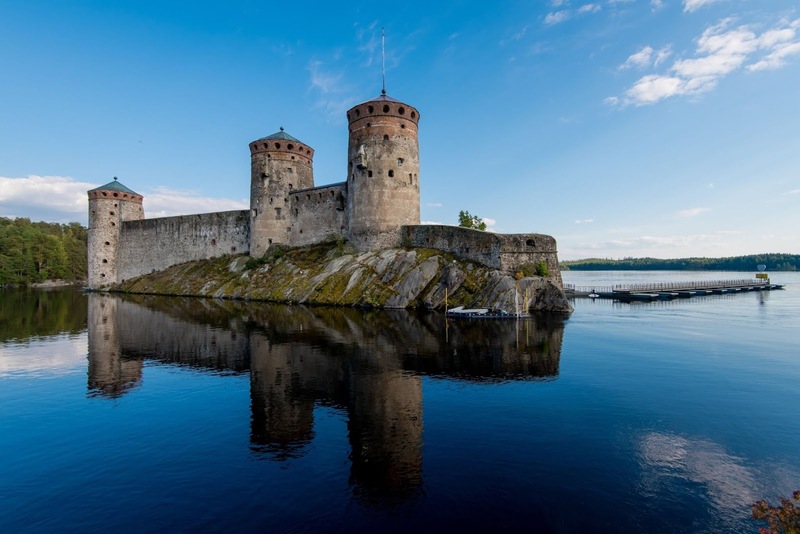 If you are a person who loves the company of nature, then Finland is the perfect place for you to visit. 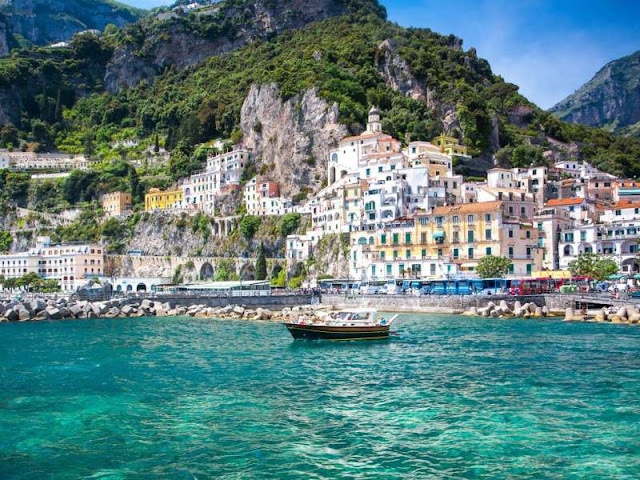 More than 70% of the country is covered with forests and that is more than the area of UK or Italy. There are also 187,888 lakes in Finland, which has also given country its nickname "The Land of Thousand Lakes". Although the number of lakes is much more than thousand. 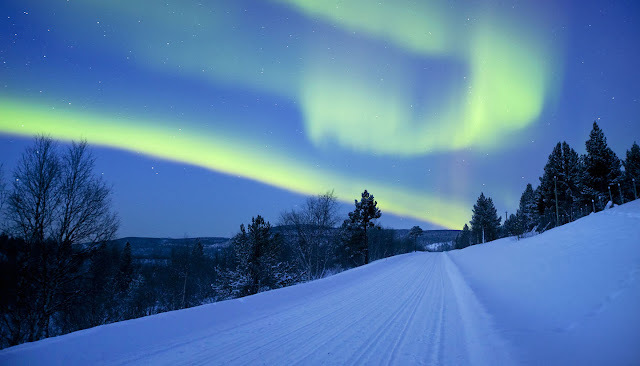 Finland is also one of the best places to see the wonderful phenomenon of Northern Lights. Here you are able to see it for around 200 days a year. It's no secret that Finland suffers from some pretty dark and gloomy winters. In some places the sun won't rise for more than couple of months. It is completely dark during this time. But come the summer, the country lives upto its another nickname "The Land of Midnight Sun". Visit the north of the country during the months of June and July and you'll see that the sun never drops below horizon. Just like the neighbouring Scandinavian countries, you can enjoy the freedom to roam and the right to public access. 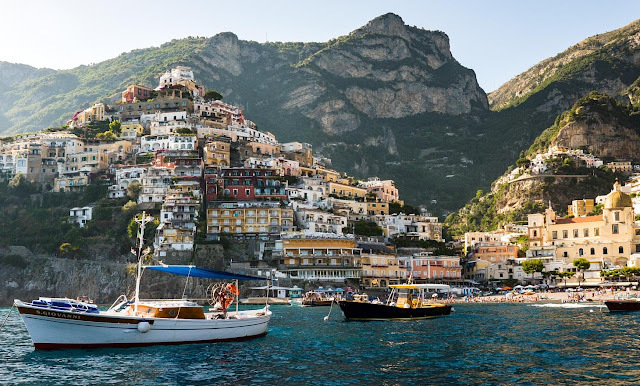 Which basically means that you can forge mushrooms, berries and flowers, camp, walk, enjoy nature and do whatever you want as long as you don't litter. Get out roam in the forests, set up a camp and experience how a night out in a forest feels like. This is one fact that makes me the most jealous. The Finns have the third best passport in the world after Germany, Singapore and Japan. This means that they can visit most of the countries in the world without getting a Visa or they get visa on arrival. How Amazing !!! Have you ever heard about the Finnish Sauna Culture ??? If you have, then this fact should not come as a surprise to you. The number of saunas in the county exceeds the number of cars here. Yes, there are more than 2 million saunas in Finland - approximately one for every household. Even a Burger King in Helsinki has a sauna. Finns are known for some of the most amazing inventions. Starting from Nokia mobiles which once ruled the mobile world to heart rate monitor, Linux OS and ice skates. Even angry birds game was invented in Finland. They also invented the world's first internet browser, Erwise in 1994. Apart from being champions in their strange sports, the Finns also are lead achievers in Olympics. Finland is only among the two countries to have won a medal in every Olympics since 1908. They have a total of 302 medals in Summer Olympics of which 101 are gold medals. They have also won 162 medals in Winter Olympics. It's no wonder that Finland has the most number of heavy metal bands per capita. World famous acts like Children of Bodom, Nightwish and Eurovision Song Contest winners Lordi, all hail from Finland, and are all able to channel their nation's dark and wild nature within their music. 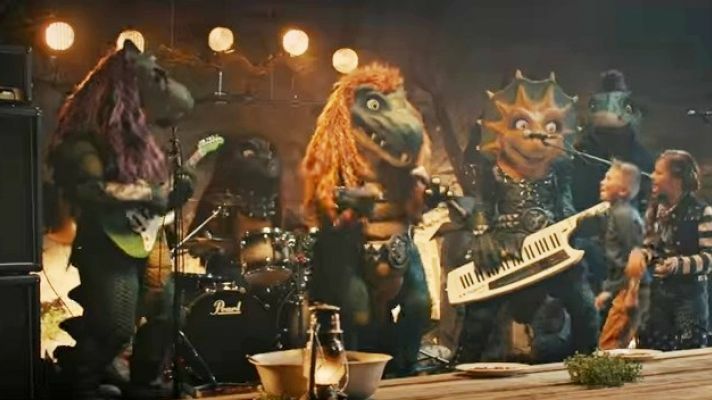 There is even a Dinosaur heavy metal band for children, helping them learn the lessons of staying in school, drinking milk and of course eating cookies. This brings us to the end of our small introduction to Finland. How many of these facts did you already know ?? Which were the most surprising ones for you ?? Let me know down in the comments below.